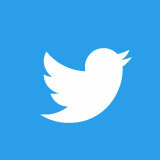 Easter holidays are upon us in the blink of an eye! Who else feels like it hasn’t been that long since the summer holidays? 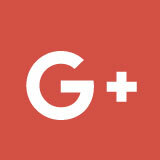 Perhaps it’s because we’ve had an almost endless summer – with super warm beach days throughout March. It’s only been in the past couple of weeks that there’s been a hint of coolness in the mornings and evenings. 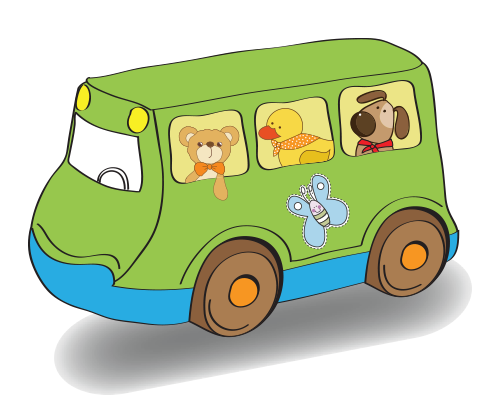 As well as listing all the kids and family friendly activities you can do, I’ve also been having conversations and meeting up with exciting local businesses who offer family friendly services such as babysitting, nannying and a company who offers fresh, ready to heat meals delivered to your home. 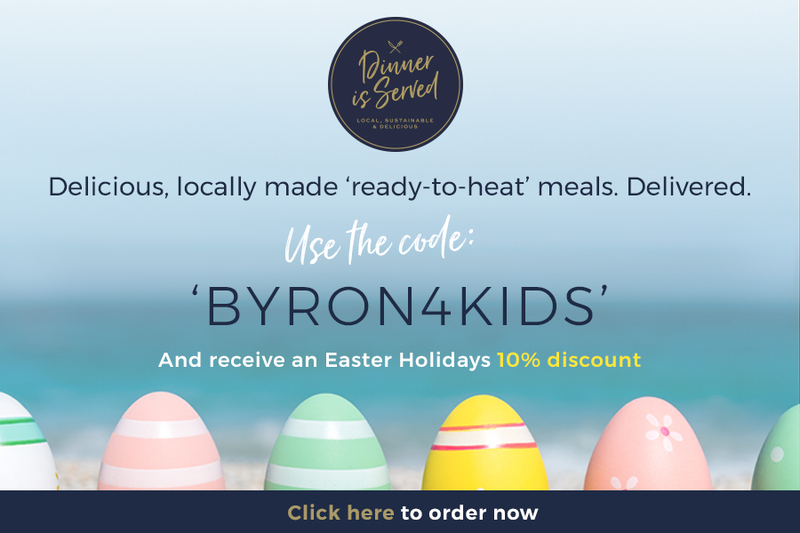 If you use delivery code byron4kids this holidays you can get 10% off Dinner Is Served. Find out more about these wonderful services under our Kids Services & Events Specialists Category. 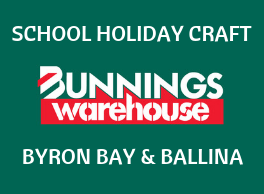 In terms of school holiday activities and fun to be had – we’ve got it sorted for you. 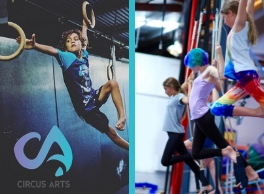 From tots to teens – preschoolers to high schoolers; 30 mins, 1 hour, 3 hours or all day – there is quite simply heaps to choose from! 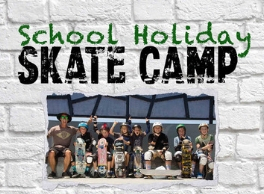 Byron Bay Skateboard School are once again offering their legendary School Holiday Skate Day Camp and there are 2 options but be quick these SELL OUT FAST! Either option is a great way to meet some new friends that share the same passion and improve your skateboarding skills. 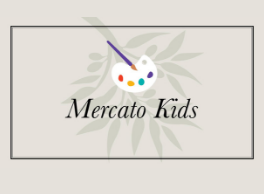 Suitable for kids aged 7 to 12 years. further to popular demand they’ve included their exciting Ninja Play classes as an add on to their 1/2 & full day school holiday programs. if your little one isn’t quite ready to try there’s always the fantastic playspace for littlies to have fun while you can sit back and enjoy healthy snacks & a cuppa from the onsite cafe. 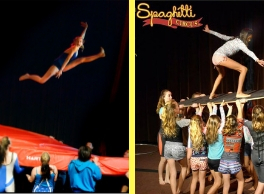 Spaghetti Circus in Mullumbimby also offer half and full day Circus Programs and provide foundation training in aerials, tumbling, acro-balance, mini-tramp, juggling, hula hoops and much more! There are Full Day Workshops for 7-14 year olds, and Half Day Junior Workshops for 4-6 year olds. 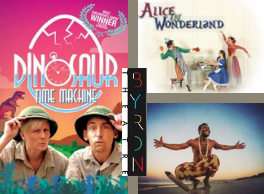 These programs sell out fast so jump on to our What’s On Guide to make a booking quick smart! We love to spend a day of the school holidays at Summerland House Farm and they are holding a special FREE EASTER EGG HUNT on Saturday 20 April. 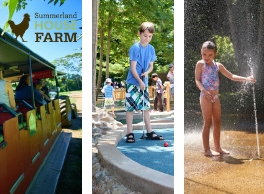 While you are there, enjoy a round of mini golf, have fun on the Farm Tractor tour then relax with a picnic in the parklands and if the weather’s warm enough – which it has been recently – cool off in the fun water spray park! You can also delight in local produce at their grocers and find all kinds of souvenirs in their gift shop. It’s a lovely way to spend a morning or afternoon with the kids and it is on our list! 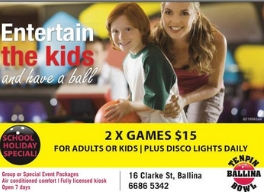 Maybe it’s raining, maybe it’s not but whatever the weather it’s always fun to play a game or two at Ballina Tenpin Bowling and when better to go than in the school holidays when they have a special price of just $15 per person for 2 games. They also light up the lanes between 12 and 4pm and from 7pm onward for GLOW bowling sessions every day of the holidays! Or how about getting down and dirty at The Farm Byron Bay! 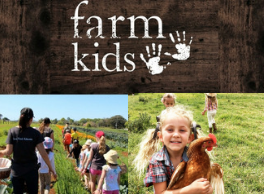 Farm Kids is holding a number of their fabulous hands-on 3 hour workshops for kids with their exciting themed farm animal or produce sessions. Also on offer is their Farm Kids Mini Farmers Program! Suitable for 7-15 y/o, this full day program introduces children to real life farming. They get their hands dirty and work alongside real farmers. If your child is feeling creative, there are some awesome craft workshops which have been added to our Calendar of Events – a number of which are FREE. 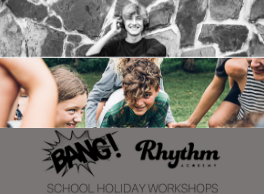 Bang Academy of Performing Arts are putting on a couple of fantastic Drama workshops for 6-9 year olds and ages 10+, plus a rad Rhythm Academy DJ Holiday Workshop for teens (age 13-19 years) where you get to explore the fundamentals of mixing, song set & structure, audience participation and performance skills across a range of musical genres! 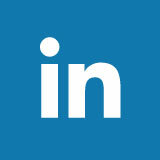 BOOKINGS ARE ESSENTIAL FOR ALL WORKSHOPS – visit out What’s On Guide for online booking links. 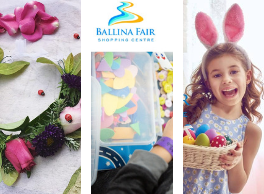 Ballina Fair have teamed up with KidzKlub this holidays to offer some FREE Easter-inspired Craft Fun plus the Easter Bunny will be paying a visit or two – check the What’s On Guide for dates and times. Dinosaur Time Machine – Have just two shows on one day only – Monday 15 April and tix are selling fast! Buckle up and take a trip in a giant time machine to get up close and personal with a life-sized T-Rex! Have fun with Gabriel Otu at his Children’s African Drum, Dance and Storytelling Workshop. Gabriel brings all the instruments and everyone has the opportunity to participate, learn new skills and share their unique rhythm. Suitable for ages 2+. And, two of Australia’s leading Ballet choreographers, pay homage to the well-known novel by Lewis Carroll, Alice in Wonderland, presented by Melbourne City Ballet. This all new ballet is perfect for all ages and is a magical portrayal of the classical story. 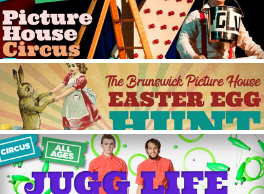 Brunswick Picture House as usual has also got a great line-up of family fun events happening over Easter. Circus Bonanza! – From 2-3pm on Good Friday what better way than to launch their 3rd Easter Weekend birthday than with their all age Circus Bonanza! Tailored for the young and young at heart, this show will razzle and dazzle its way into your hearts and tickle your funny bones. It’s what you get when you cross family friendly cabaret with circus and then threw in a bit of comedy and a good dose of hijinks and surprise! Easter Egg Hunt – What’s Easter without an egg hunt? At Brunswick Picture House we have some of the best hidey-holes in the village! Come along and join in the fun and games on Easter Sunday afternoon. JUGG LIFE is an explosive fusion of dynamic live percussion and relentless energy with the breathtaking skills of two of Australia’s best jugglers As sound melds seamlessly with world-class technical ability, the performers display precisely what they love about juggling in every possible way! 1 performance only on Easter Sunday! 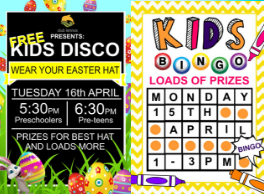 On Tuesday 16 April Club Lennox are holding their Easter themed kids disco and on Monday 15 April they invite you along to kids bingo at $2 per child from 1-3pm with lots of prizes to be won. There’s also an indoor and out door kids zone at the Club and kids eat free (conditions apply) from 5-7pm on Mondays too! 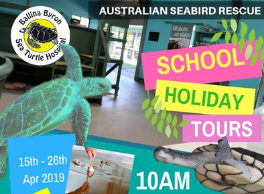 In Ballina, Australian Seabird Rescue are holding their weekday school holiday tours. Learn about seabird and sea turtle rescue, rehabilitation and release. The tour goes for approximately one hour and costs just $8 (CASH ONLY) per person. 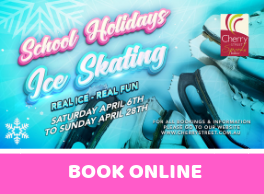 No booking required – just turn up on the day! 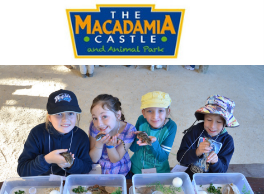 Apart from being a fabulous place to spend a day with the kids, The Macadamia Castle also offers an excellent school holiday program for kids (and adults) with two wonderful & popular workshops. They are also holding a MEGA EASTER PARTY over four huge days of the long weekend they will have a 12 metre high mega waterslide, Easter egg hunts through the day, roaming Keepers with Bunnies and hot cross buns for sale in the Cafe! During the school holidays your kids can become Wildlife Guardians and spend the day with the keepers behind-the-scenes in the Animal Park. Teenagers can spend a day behind the scenes in the animal park with Macadamia Castle’s senior keepers during these school holidays. Find out what working in a captive animal facility is all about. 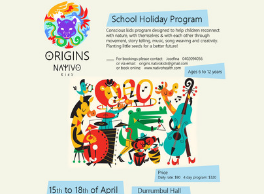 A conscious kids program designed to help children reconnect with nature, with themselves and with each other through movement, story telling, music, song weaving and creativity. 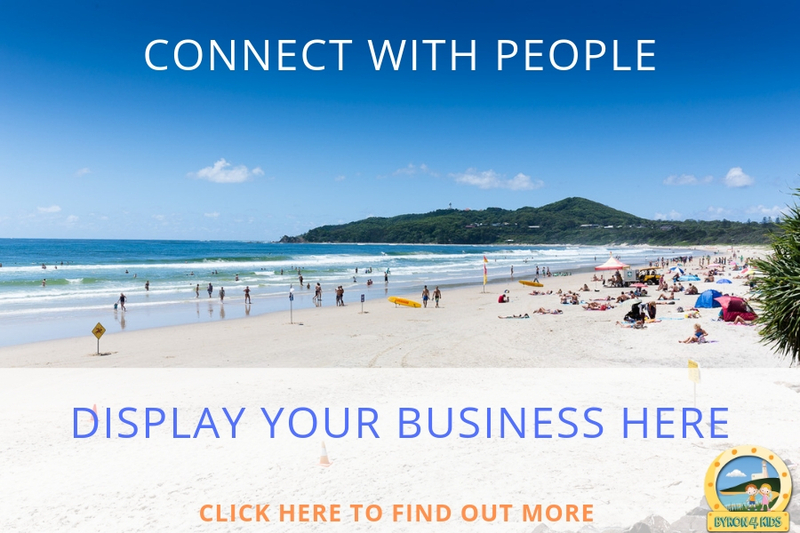 Running from 15-18 April at Durrumbal Hall in Mullumbimby you can attend per day or for all days. Suitable for ages 8-12 years. 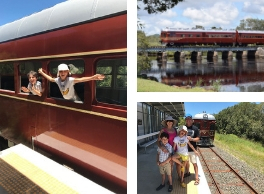 Or how about a special trip on the world’s first solar powered train – right here in Byron Bay. My kids were thrilled to take a trip on the train with their grandparents who were visiting from overseas last year. You can tie it in with lunch at The Sun Bistro which has an indoor play area as well as a lovely fenced and grassy outdoor area out the back. 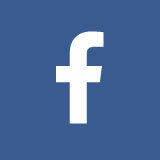 Click the link for more information, offers, timetable and ticket prices. 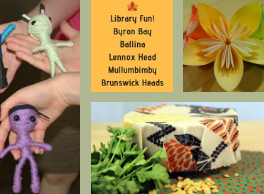 Previous Post - School Holiday Summer Fun for Kids and Families in Byron Bay and Beyond!